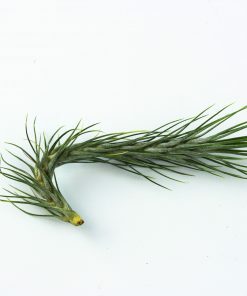 The Tillandsia Caput Medusae is a unique plant in the Tillandsia species. 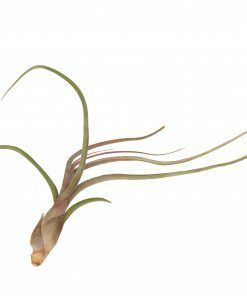 The shape and form of this species is certainly rare and so the plant is named after this. 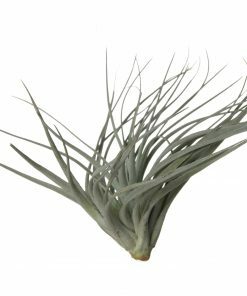 With the thicker head (caput) on the bottom and the wonderful firmly curly leaves, the Tillandsia Caput Medusae is compared to a female figure from the Greek mythology. 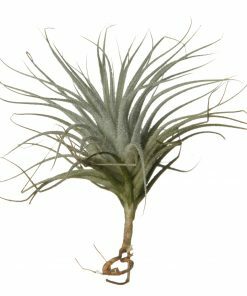 Medusa, the woman with snakes as hair, which are quite similar in its turn with the curly leaves of this kind of Tillandsia. 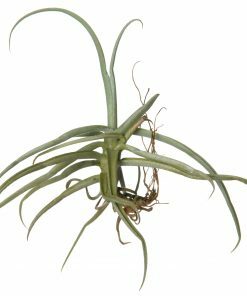 Other common names alongside Tillandsia Caput Medusae are also Medusa’s head and octopus plant. 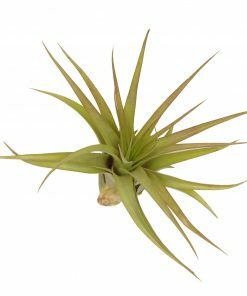 This air plant is native to Central America and Mexico. 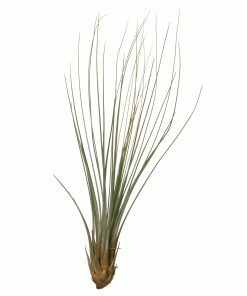 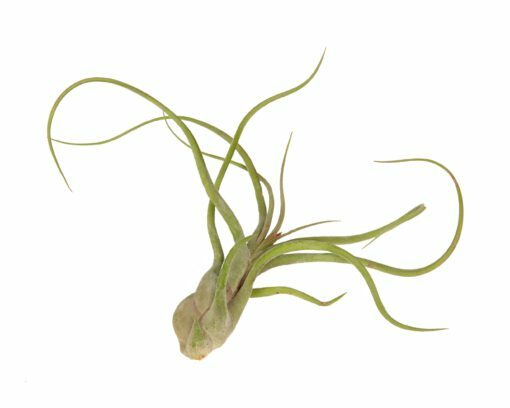 The Tillandsia Caput Medusaes are shipped from the farms in Central America to Corsa Plants main location in De Lier, where we continue taking care of these plants and an average plant height of 15 centimeters is achieved for the Tillandsia Caput Medusae. 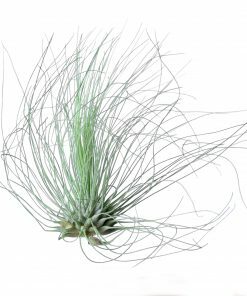 During spring or early summer, a beautiful violet-colored flower oftenly grows from the middle of this air plant.